Do you head to the hair salon every time you notice split ends? 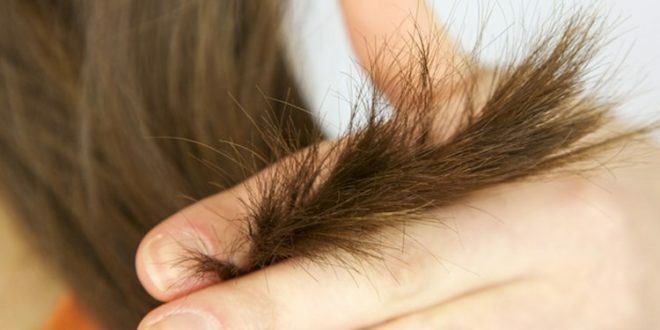 This common problem occurs when hair’s outer protective layer becomes dry, damaged and broken. They can also be caused by overexposure to the sun, pollution, etc. and the use of too much heat, say from hair dryers and straighteners. In fact, split ends are very common nowadays due to the many treatments that women go for to style their hair. The good news is that you can treat and prevent split ends with simple home remedies. Let us take a look at 10 of the best home remedies to treat split ends. Yes, bananas! The nutritious fruit has a light, creamy texture that makes it an excellent natural hair conditioner. Bananas are also loaded with antioxidants that help in repairing damage caused by pollution, heat, overuse of chemical treatments like perms, hair color, etc. Mash 1 banana until you get a smooth paste. Add a bit of coconut oil or honey for extra moisture if you like. Apply the paste to your split ends and leave on for 20 minutes. Wash off thoroughly with a mild shampoo. You have probably seen shampoos and conditioners that contain egg as one of their ingredients. This is because eggs contain protein that helps treat dryness, dullness and split ends. You can use eggs in various ways to treat and prevent split ends and make your tresses healthy again. Mix 1 egg with almond oil or olive oil and honey to make a hair mask. Apply it on your hair, leave on for 30 to 45 minutes and wash off thoroughly. Or, mix 2 eggs with 1 mashed banana and some orange juice to make a hair mask that contains nutrients needed to remove split ends. Leave on for 30 minutes and wash off. Yes, you read it right – mayonnaise! It is actually an incredible dry hair treatment and works very well in removing split ends. This is because its ingredients – eggs, olive oil, etc. – give your hair the moisture it needs to treat dryness and hair breakage. It is likely that you keep a jar of this spread in your refrigerator at all times, so you have a readily available home remedy for split ends – convenient, right? Apply mayonnaise to your hair, concentrating on the length and ends of your tresses. Leave on for 30 minutes or so before washing off. This superfood is loaded with many nutrients, which is why it is so healthy. Avocados also contain fatty acids that can help strengthen your hair. And like bananas, it works to soften hair as well. If you often have overripe avocados that you forgot about, do not be so quick to throw them. Use them to get rid of split ends and nourish your crowning glory! Mash 1 avocado and apply it to your hair like a hair mask. For added nutrition, add the contents of a Vitamin E capsule. Do this as often as you need to and get amazing results. Have you heard about how beer is great for hair? It is true! And it can help with split ends too. It gives damaged hair follicles sugar and protein, which in turn controls hair breakage or split ends. It is an amazing conditioner and adds volume to your hair as well. Keep in mind that you should use only flat beer when using it on your hair. Shampoo your hair and then pour flat beer all over your hair. Leave it on for 2 to 3 minutes before rinsing it off. Repeat 2 times a week for soft, shiny and split end-free hair. You already know how honey works wonders on skin, right? Well, now you know that it is a great natural remedy for split ends too. It has humectant, which helps in preventing loss of moisture and dry scalp. It also prevents and treats split ends as it helps in strengthening hair follicles. Mix honey, olive oil, plain yogurt, and an egg yolk (optional) to prepare a hair mask. Apply it on your hair, including your scalp and make sure to focus on your split ends too. Leave on for about 25 minutes and wash off thoroughly. Surprised to see this ingredient on the list? Well, black lentils are an excellent source of fiber, protein, phosphorus, iron and folic acid, among others. These nutrients work to treat unhealthy hair with split ends. Folic acid is especially important as it supplies your hair follicles with oxygen from the blood, which in turns improves the quality of your tresses. 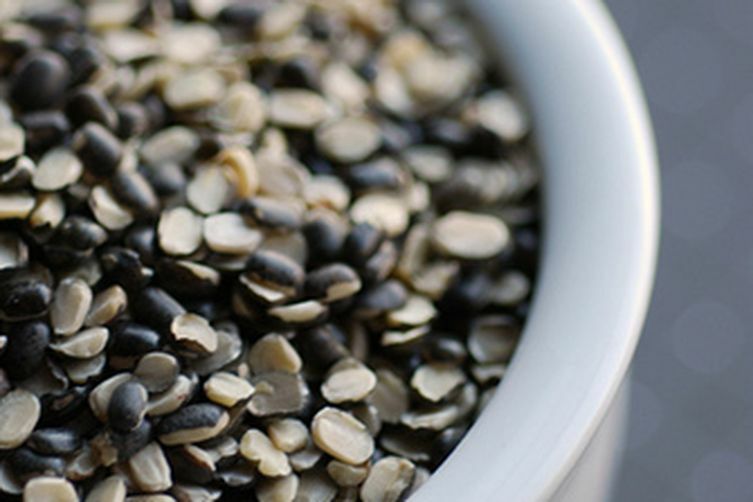 Grind ½ a cup of black lentils and 1 tablespoon of fenugreek seeds to form a smooth powder. Blend the powder with ½ a cup of plain yogurt to make a paste. Apply the hair mask on your hair and leave it on for at least 30 minutes before washing it off. Also, include more black lentils to your daily diet. Don’t you just love the thought of using fruits on your hair? Papaya is a great natural remedy for split ends. It is rich in folic acid, which as you have read earlier, boosts blood circulation in the hair and scalp. It also contains Vitamin A that improves sebum production. Plus, papaya moisturizes your scalp and hair follicles, which in turn promotes healthy hair growth and prevents frizzy hair and split ends. Mix 1 ripe papaya and plain yogurt in a blender to form a thick paste. Apply it on your hair and scalp and leave on for 30 to 40 minutes. Wash off thoroughly with cold water. Use a mild shampoo if you need to. Did you think that aloe vera was only for skin problems? Not at all! It has been found to be a superb natural cure for split ends and damaged hair. Its proteolytic enzymes work in digging out dead cells from the scalp and boosting hair growth. Aloe vera also has antimicrobial and anti-inflammatory properties that help in keeping your scalp cool and protecting it against the damage caused by dust, pollution, etc., thereby preventing and treating split ends. Extract the gel from 2 to 3 fresh aloe vera leaves and apply it evenly on your scalp and hair. Leave it on for 30 to 40 minutes and then rinse it off thoroughly. If you need to shampoo after applying the gel, use a mild one. This may be a little sticky and messy, but it is totally worth it. You will love how your hair looks and feels after an aloe vera treatment. Like to sip on chamomile tea after a long day at work? Well, what if you were told it can help with split ends too? Chamomile is actually a fantastic natural cure for dry, frizzy hair with split ends. It has antiseptic properties that help in removing dead skin cells so that your hair can grow healthily. Because it keeps your scalp and hair clean, chamomile helps in preventing and treating split ends when used regularly. Steep 2 chamomile tea bags in boiling water. Allow it to cool and squeeze the bags to extract all the goodness they contain. Rinse your hair with the chamomile tea and allow it to dry naturally. Massaging your hair with chamomile oil about 2 times a week can also do wonders for your hair. Apart from these home remedies, there are many others like coconut oil, ghee or clarified butter, jojoba oil, castor oil, olive oil, and shea butter that you can use to treat split ends and prevent them from coming back. Most importantly, you should take good care of your hair by protecting it against the sun, pollution, washing it with cold water, using mild natural shampoos and conditioners, drying your hair naturally instead of using a hair dryer and trimming your hair regularly. Your hair is your crowning glory so treat it with love and care to prevent damage and split ends and get beautiful, healthy tresses. Here is Richa's first look as 'Shakeela' ! Ketogenic diet: What to eat and what not to!